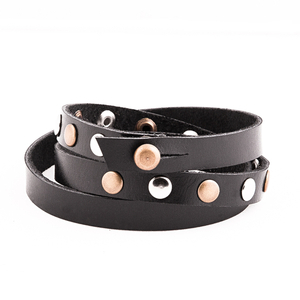 Stand out with this wristband loaded with shiny studs! 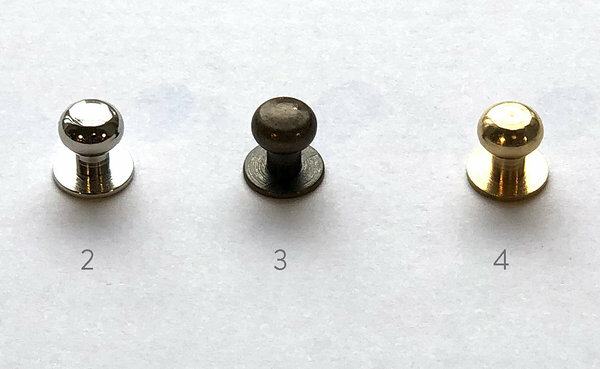 It is 1 cm wide, goes around your wrist three times and can be closed with a simple screw-button. 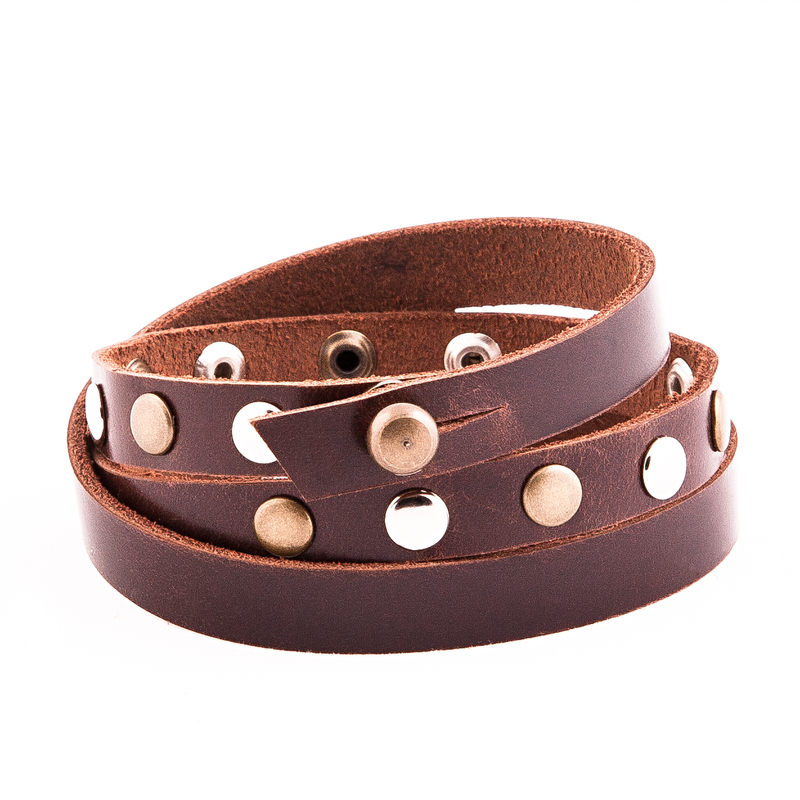 Extra details: You can add name, initials or text to personalize (for additional price 20€). Shipping: These wristbands are made to order and will be shipped in 5 days.